Bharati Vidyapeeth Deemed University hasstarted receiving applications for its MBA program 2017. The last date of application is March21, 2017. Click on Online Line Registrationoption. Selection will be based on Written Examination, GroupDiscussion and Interview. 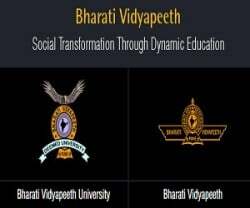 The Bharati Vidyapeeth Deemed Universityoffers Medical, Nursing, Engineering, Management, Arts and Science courses. Ithas campuses across the country. On April 26, 1996, the Government of India, onthe recommendation of the University Grants Commission, granted the status ofDeemed to be University to a cluster of 12 institutions of Bharati Vidyapeeth.